Brooklyn/Harlem rapper Lil Mama's debut album "Voice of the Young People," will be released on April 29th and April 28th in the UK by Jive and Familiar Faces. "Truly In Love," produced, co-written by and also featuring Peter Toh will be alongside the hit singles "Lip Gloss," "Shorty Get Loose," and "G-Slide." Other producers contributing to VYP are Danja, Cool and Dre, Dr. Luke, Swizz Beatz, The Runners, and Scott Storch. 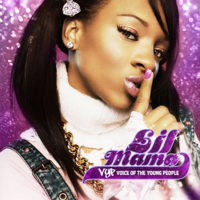 April 29th, Lil Mama featuring a song with Peter Toh. COP THAT.